(RxWiki News) Infants receiving multiple childhood vaccines based on the routine vaccination schedule did not face an increased risk for infection, according to a new study. "Some parents are concerned that multiple vaccines in early childhood could damage their child's immune system, making them more susceptible to future infections," said lead study author Dr. Jason Glanz, of the Kaiser Permanente Colorado Institute for Health Research, in a press release. "This new study suggests the theory of overloading an infant's immune system is highly unlikely." The study authors looked at the estimated exposure to vaccine antigen (a protein or other substance that causes the body to have an immune response) through children's first 23 months of life. They evaluated 193 children with a non-vaccine-targeted infection, such as a respiratory infection or stomach infection, and compared them to 751 children who did not have these infections. The total vaccine antigen exposure was not tied to an increased risk of infections over the next 24 months of life. 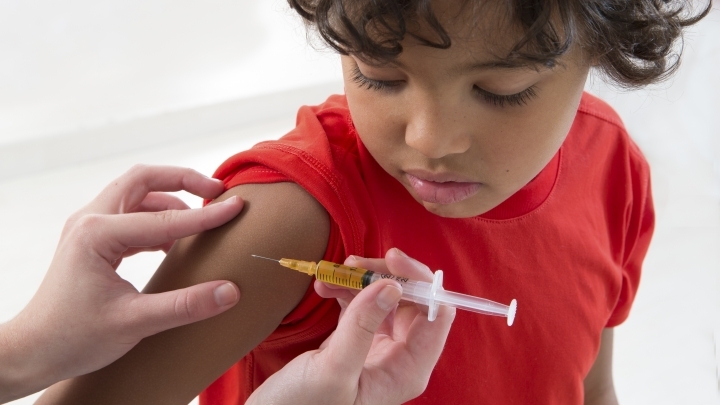 This study was the first in the US to evaluate the link between multiple vaccines and infections that are not targeted by the administered vaccines within the current recommended childhood immunization schedule. The Centers for Disease Control and Prevention funded this study. Information on potential conflicts of interest was not available at the time of publication.